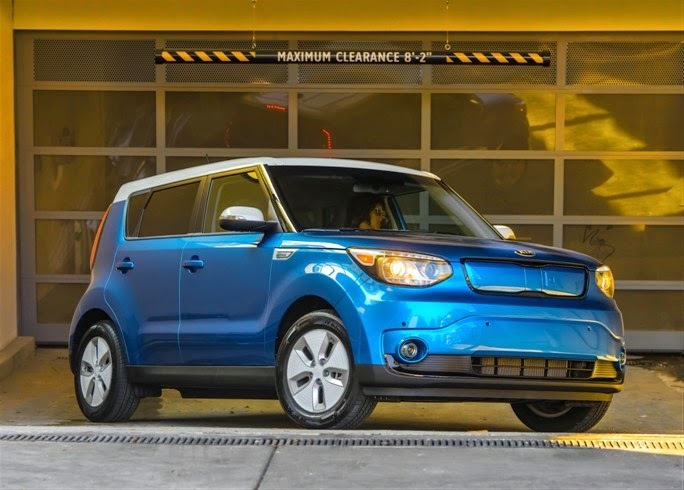 Kia Soul EV, Kia’s hip urban crossover and first all-electric zero emissions vehicle, won the Best Eco-Friendly Vehicle in the 2015 Drivers’ Choice Awards. Airing on 92 percent of PBS stations across the United States, MotorWeek analyzes trends, new products and new technology to produce a list of winners that can be used as a car-buying guide by the show’s viewers. Admired for its practicality and fun design, editors at MotorWeek appreciated the roomy interior and cargo space of the Soul EV, which offers more rear seat leg room than other key EV competitors. "As the centerpiece of Kia’s Clean Mobility program, the Soul EV has the best range in its segment, EPA estimated at 93 miles1, and it’s been recognized by Underwriters Laboratories for its use of bio-based materials," said Orth Hedrick, vice president of product planning, Kia Motors America (KMA). "MotorWeek’s Best Eco-Friendly Vehicle award is a great honor from a respected source and a powerful endorsement of the Soul EV’s unique blend of range, utility, style and value." "The Kia Soul EV is the perfect EV. It is totally practical with plenty of room for adults and everyday cargo,” noted John Davis, host and executive producer, MotorWeek. "It has more power and range compared to other affordable all-electric vehicles. Plus, its funky style makes driving the Kia Soul EV really cool." Kia Soul EV features the iconic design of its gasoline-powered sibling and comes in four color choices. It also has a premium interior and standard amenities including: Navigation with eight-inch touchscreen, a 6.6kW on-board charger, CHAdeMO DC fast charge port, Rear Camera Display2, power windows and driver’s seat, cruise control and an HVAC system that extends the EV’s range by minimizing energy draw.